iPod touch a Better, Cheaper iPhone? Next-gen iPhone to Run on Nvidia Chips? Apple Working on Next-gen iPhone with Customized Multicore Chips? iPhone the New Super Platform? 3 New Phones This Year? "It's nothing new for pundits and bloggers to say what functionality they think should be included in the Apple TV. The device, which brings iTunes and other digital content into the living room by hooking up to your TV, has the potential to be Apple's next big thing - if it makes the right moves. Today brings two long reports about Apple TV's future that take what are basically opposite stances. "On one side, you have Piper Jaffray analyst Gene Munster saying that he expects Apple to launch its own actual televisions with digital video recorder (DVR) capabilities built-in over the next couple of years. On the other, you have RoughlyDrafted Magazine's Daniel Eran Dilger arguing that getting into both the television and DVR business would be large blunders for Apple. Instead, he lays out some more forward-thinking approaches Apple should take with the Apple TV. "Apple continues to describe its Apple TV set-top box as a 'hobby' project: it'll continue to develop the platform, but it's not making any money out of it yet. The gadget's a hobby project for a lot of other folk too. They want to gain access to this closed but surprisingly powerful system to make it more useful. "We've had an Apple TV unit for a while now, and we decided it was time to dig a little deeper into its foundations. Under the hood, it's essentially a tweaked Mac OS X 10.4 box. There's no shortage of information on a variety of internet sites, Awkward TV, in particular. But, like so many online guides, bits were written some time ago and not updated, while others skip steps. "What follows is our attempt to collate and make consistent a number of online guides, and to ensure they work on the latest version of the Apple TV's OS...."
"Jajah (see press release below) is putting an interesting spin on an iPod touch application for IP telecommunications - by turning it into a white label solution for others as a fully functional mobile telephony device. The company is currently in the process of looking for partners to put this solution to market. "The Jajah iPod touch design, which the company says turns the portable media device into an iPhone, essentially takes the touch's ability to use WiFi and expands upon it by adding VoIP abilities. Jajah says users will supposedly be able to download the service from the App Store, plug in a microphone headset and be immediately 'able to make calls and send SMS messages from their device from any WiFi network in the world. Calling costs will be up to 98 percent cheaper than existing rates on mobile networks, and in many cases could be free.'" Link: Jajah Asks: Could iPod touch Be a Better, Cheaper iPhone? "Will Apple's next iPhone pack an Nvidia ARM-based system-on-a-chip? That's what one US analyst thinks. "Enter Doug Freedman of AmTech, the market watcher formerly known as American Technology Research. Freedman tracks Nvidia, and he reckons the chip maker is pumping development resources into 'additional mobile operating systems beyond Microsoft's Windows Mobile and Windows 7 Mobile' so they can support Nvidia's Tegra SoC. "Freedman goes on: 'We believe the next OS supported will be company-specific, leaving us to believe it will be either Research in Motion or Apple....'"
Link: Third-gen iPhone to Run on Nvidia Chippery? "The next major overhaul of the iPhone platform might just see the iPhone coming into its own as a graphics-savvy gaming platform. Apple has been confirmed to have licensed PowerVR graphics technologies from Imagination Technologies in a bid to turn the iPhone into a data-crunching and gaming phenom the likes of which dedicated gaming consoles would cower beneath...."
Link: Is Apple Working on a Next-gen iPhone with Customized Multi-core Chips? "As Apple's marketing machine turns its attention towards games - and publishers disagree as to which level they should be supporting it - CasualGaming.biz asks if iPod touch and iPhone can really topple DS? "It's always been a dead certainty: different demographics will become drawn to different consoles. But there's one platform that's threatening to smash that age-old maxim: and it's not even a 'proper' games console...."
Link: Is iPhone the New Super Platform? "Apple will almost certainly announce new iPhones before the end of June. So what will they look like? "The first is a 32 GB iPhone in multiple colours that is likely to arrive during the next six months. "Next up is a lower-cost handset based on the 2.5G iPhone, which is targeted for China and India. "Third is a smaller version - about one-third the size of the 3G iPhone - that costs 40% less and is also likely before year-end...."
Link: Apple's iPhone Roadmap: 3 New Phones This Year? "The Palm Pre is easily the most talked about phone since the original Apple iPhone. We're talking millions of Web posts, hundreds of thousands of blog mentions and more than 5,000 recent news items picked up by Google News. "With the iPhone often regarded as the pinnacle of mobile magnificence, comparisons are natural...."
"iTunes 7.7 and later has the ability to update the carrier specific settings on iPhone with iPhone 2.0 software or later. Carrier settings updates are small files (about 10k) that are downloaded from iTunes to be installed on your iPhone. The carrier settings can include updates to the default APN (how iPhone accesses the carrier's cellular data network), special dialing codes at Settings > Phone > [Carrier] Services, default settings for Stocks, Maps, Weather, and other items...."
"Apple will start selling a cheaper, 'entry-level' iPhone sometime this summer, for around $99 after subsidy, according to 'checks,' RBC analyst Mike Abramsky said in a note this morning. "Meanwhile, the iPhone 3G will get feature upgrades, such as a better camera, video capabilities...."
"Although Apple has downplayed the possibility of a stripped-down iPhone, the Royal Bank of Canada is reiterating claims this week that the company is gearing up to announce two new versions of its touch-screen handset, including an entry-level model that lacks both 3G connectivity and an unlimited data plan...."
"Abramsky contends that 'checks reveal' further details on the company's plans, with a launch on existing carriers in the June/July period. (He also expects an upgraded version of the iPhone 3G.) Were Apple to launch a low-end iPhone at $99...."
"First, our take then we'll let you read the story. "Ain't gonna happen. Tim Cook specifically said in the last earnings call when asked about the $99 iPhone. 'We don't make the cheapest phones, we make the best phones.' That being said, there were a few times already where AT&T was selling $99 iPhone. Plus there are going to be a boatload of cheap iPhone 3Gs on the market when the next version is released (ours being some of them). That isn't the point. 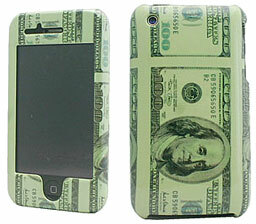 Whether the iPhone is $99 or $199, isn't really significant to consumers' pocketbooks (mindset is another matter). AT&T will bill you the $100 difference in little over a month into your 2 year contract...."
"MSNBC is jumping on the $99 iPhone bandwagon based on a report based on RBC Capital Markets analyst Mike Abramsky, who believes that the entry-level iPhone will arrive in June or July, presumably at WWDC 2009. Dates for the conference have not yet been announced. "The interesting thing about the arrival of the $99 iPhone is that it will create a division between the high-end and low-end models for the first time in the product line. According to Abramsky, the $99 iPhone may drop 3G and GPS in order to keep the price low...."
PR: JAJAH, a leading IP telecommunications company, today announced a complete revamp of the iPod touch, turning the device into a fully functioning mobile phone for consumers. The new capability, available as a white label solution, enables carriers as well as non-carriers to launch the service under their own brand and provide their customers with the ability to make low-cost phone calls and send SMS text messages to any phone in the world from their iPod touch. To use the service, end users only require an iPod touch and a WiFi connection, with no need for a SIM card or contract. The iPod touch is one of the most popular consumer devices in the world for music, entertainment, Web-browsing and now, making phone calls. "Millions of people around the world already have an iPod touch in their pocket. With JAJAH's solution, any company can turn their customers' iPod touch into a fully functioning mobile phone," said Trevor Healy, CEO, JAJAH. "The device is particularly popular amongst students, who live in a world where WiFi access is always available and, like everyone, they are looking to save costs, so this is a perfect solution." JAJAH's next generation IP communications platform gives its partners everything they need to launch the service immediately. This includes the application itself, plus the entire suite of management services, from termination of the calls and quality control, right through to billing and processing payments in 200 countries around the world. Given the economic downturn, consumers are seeking ways to make calls on any mobile device they own, as inexpensively as possible. "Offering a turnkey solution provides iPod touch users with added value," said Jon Arnold, principal analyst of J Arnold & Associates. "This is a prime example of how JAJAH's innovative platform helps carriers differentiate their services." Anyone with the latest version of the iPod touch will be able to download the service from the Apple App Store. With a microphone headset (available from Apple), users will immediately be able to make calls and send SMS messages from their device from any WiFi network in the world. Calling costs will be up to 98 percent cheaper than existing rates on mobile networks, and in many cases could be free. JAJAH's plug-and-play IP platform is the only service that provides the full suite of services required to develop, deploy and monetize IP communication services anywhere in the world. The JAJAH platform is used by a number of the world's largest companies including Intel, Yahoo! and Comcast, and allows any company to offer value-added-services (VAS) to their customer base with no upfront payment or development work, saving millions for its customers and ensuring partners are prepared for the next generation of service provision. JAJAH continues to develop innovative communications services. In the coming months the company will announce a range of new data communication services, applications and partnerships. Skout is a new mobile, real-time, location-based dating platform that helps people meet compatible singles in their vicinity. People can use Skout to chat, share photos, and even share videos and other information. Whether at a conference, a bar, a college campus or a sporting event, people with similar interests who are near each other can use Skout to communicate and possibly even find love. Skout's online dating service and iPhone application are being launched at the 6th annual Internet Dating Conference in Miami, Florida, January 22nd and 23rd, 2009. "When I founded Match.com, I envisioned how the internet could change the way singles discover each other . As we stand at the cusp of mobile convergence, Skout is perfectly positioned to disrupt the online dating market. Skout represents what all dating companies must become to not only just remain relevant, but to survive," says Match.com's founder Gary Kremen. The Skout dating service is available online on virtually every mobile phone with a browser as well as via a laptop or desktop computer. The company is also releasing Skout, an iPhone application, available free of charge at Apple's AppStore under the Social Networking/Lifestyle categories. "We are very excited about today's release of our Skout dating platform and the Skout iPhone application," says Skout Founder and CEO Christian Wiklund. "We're making it easy for singles to discover others with similar interests, using location information and mobile phones. Skout brings cheer to people who are on the go and typically don't have time to find someone special." According to Juniper Research, the mobile dating market will reach 1.4 billion dollars by 2013. Skout is perfectly positioned to take advantage of this growing market. Skout iPhone app is completely free and available now. PR: eGovernment firm NIC has just launched "Most Wanted," a free iPhone application dedicated to helping families of missing children and law enforcement. The application has averaged 5,000 downloads per day and has broken the top 10 in iTunes' Free Utility applications in its first three days of availability. 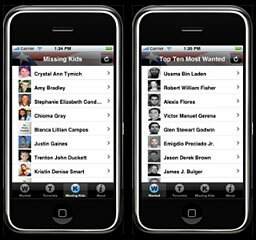 Most Wanted features FBI's Top 10 Most Wanted, Terrorists, and Missing Children. Each has background information, a picture, and a place for individuals to provide tips. Most Wanted is a free application. "NIC has been deploying mobile services for years, but the faster wireless networks and smarter devices are making the development of more advanced services possible," said Harry Herington, Chairman of the Board and Chief Executive Officer of NIC. "As an ex-law enforcement officer, I felt strongly that developing and launching the Most Wanted application was the right thing for NIC to do as it directly supports two very important groups - families of missing children and law enforcement." PR: Squires Studios releases the Valentine's update of Squiggles, an advanced paint and image app for the iPhone. Users can create and send their own customized Valentine's Day cards. The Valentine's update of Squiggles comes with a number of special images that can be layered on personal photos on the iPhone. Combining these with the Valentine image paintbrushes and advanced tools makes it easy to create a unique personalized photo gift that can be sent directly from Squiggles. Squires Studios releases the Valentine's update of Squiggles, an advanced paint and image app for the iPhone. Users can create and send their own customized Valentine's Day cards from their iPhone. The Valentine's update of Squiggles comes with a number of special images that can be layered on personal photos on the iPhone. Combining these with the Valentine image paintbrushes and advanced tools makes it easy to create a unique personalized photo gift that can be sent directly from Squiggles. Images include a variety of hearts, chocolates, balloons, bubbles, Love You text, candy hearts and heart glasses. New features allow images to be emailed directly from Squiggles, an eyedropper tool and easy layer positioning. The App Store has featured Squiggles on What's New and as part of their Staff Favorites. Squiggles includes a wide range of styled brushes, unlimited colors, variable opacity and paint modes making it ideal for working on iPhone size drawings, sketches and specifically for work on the iPhone since it is not always easy to draw with your finger on a piece of glass. Paint smoothing - Draw a shape and the stroke will be redrawn smoother. This removes any wobble or jitter. Finger Offset - When painting with your fingertip it is difficult to precisely place a stroke because your finger obscures the paint as it is being applied. This makes it difficult to connect lines or mark a photograph. The finger offset allows users to apply paint away from their finger where they can see it. A cursor allows them to make the exact lineup before commencing to paint. Smart Shapes - Draw an approximation of a line or circle and the shape will be redrawn precisely. This is great for notations on photos and minimizes the need to keep changing tools. The eraser restores the image to the original. This works with both paint and any filters applied to the image to allow advanced images. A clone brush allows the cloning of an area just as in desktop painting programs. Squiggles comes with a full collection of Overlays. These are images that can be layered on top of existing photos and rotated, sized and placed to best create a final image. Photographic overlays include real hats, tinted glasses, balloons, thought balloons and other images can be used to make on the fly photo cards. Text layers can be created with different colors and fonts. The same two-finger process to resize and rotate overlays is used with text layers as well. The text can be used to document a photo or to make a greeting. Squiggles also includes a number of filters similar to the PhotoBooth application on the Mac to distort the image or change values. All images are saved to the Photo Album so users can email them, save them to their desktop, make wallpapers or save as contacts. PR: Since we launched our first iPhone Unlock solution in late 2007 our product has received over an amazing 1,000,000 downloads worldwide. At this moment in time our iPhone unlock solution will unlock any iPhone in any country, running any firmware version. We advise that your iPhone is updated to the latest firmware version 2.2 through iTunes before proceeding with our iPhone Unlock solution. This will enable all of the latest features and benefits from Apple. As a good will gesture we are now providing free updates of our product for life. This will ensure that you will never have to pay to unlock your iPhone ever again. This will also ensure safe updates to future firmware versions and most importantly of all your iPhone will remain unlocked when installing future firmware versions. As an extra added bonus along with our iPhone Unlock software we are also providing you with some great applications completely free of charge. These include, Video Recording, MMS Messaging, Voice Recorder, Voice Dialing, SNES Emulator and many many more. 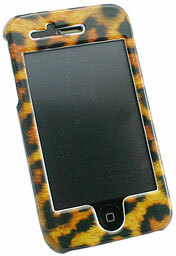 We also provide hundreds of wallpapers and ringtones to customize your iPhone should you choose to do so. PR: So, you've upgraded your iPod. You don't have to upgrade all your chargers. 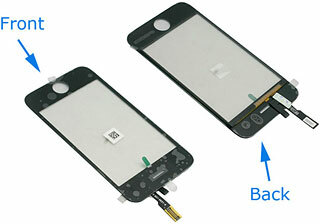 Newer iPod and iPhone models use USB charging circuitry to charge their batteries. Older chargers provided power through the FireWire portion of the connector. Griffin to the rescue. Now, older dock connectors and charging devices can properly charge the newer iPod and iPhone models. Our Charge Converter clicks in between your device's dock connector and your charger, and routes the charging circuits correctly. So your iPod can keep on doing what it does best. Do you have an original Bose SoundDock? 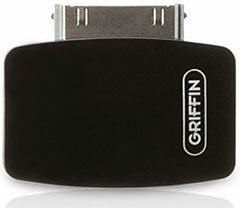 For a limited time, Griffin is offering an adapter made specifically for the SoundDock, so you can use your new iPod or iPhone with your Bose system (Portable and Series II are not compatible). PR: There's nothing worse than running out of battery, whether it's on the train to work or the plane abroad. Following the success of their Mobile Device Charger, Proporta announce their new model, the Universal Emergency Charger. This sleek, portable gadget allows you to power up any device that charges from a USB socket up to three times, so whether you're a commuter, a traveller, or just out and about, you need never be caught short again. The Universal Emergency Charger packs an impressive 2500 mAh of power and can be charged from any convenient USB port. It comes complete with a USB to Mini USB cable and a retractable cable with adaptors that allow you to charge and recharge your iPod, Nokia, Micro USB, PSP, Samsung, or Sony Ericsson device anywhere. Anything that charges from USB will work with this ridiculously handy device, meaning you can charge your mobile gadgets again and again (and again) wherever you are. For the travellers among us, Proporta also offer the Universal Emergency Charger - Travel Kit</a> which includes a useful in Car and an AC World Travel Charger Kit that allows you to charge from the mains anywhere in the world. Proporta's Universal Emergency Charger - Travel Kit includes all you need to keep your iPod, mobile phone, smartphone, PDA, Nintendo DS Lite, Sony PSP, digital camera etc.) charged and at the ready whilst on the move. This ridiculously handy product charges from any standard USB port and stores an impressive 2500 mAh of power meaning that you can recharge your mobile gadget again and again (and again) wherever you are. PR: Grantwood Technology, LLC has announced the release of the tuneband for iPhone 3G, an armband product designed to comfortably secure the iPhone in place during exercise, with the ability to access the screen and buttons. 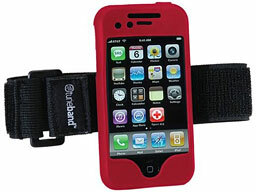 "The tuneband for iPhone is one of the most popular armbands available," explained Michael Banks, MD, cofounder and CEO of Grantwood Technology, LLC. "We have now added 5 more colors to the original black skin that was available." PR: This is the 3G iPhone LCD screen suitable for the Apple iPhone 3G, If you can see black ink spots or maybe bleeding on your screen, but the touch screen is undamaged, the LCD will need to be changed to restore your 3G iPhone to full working order. 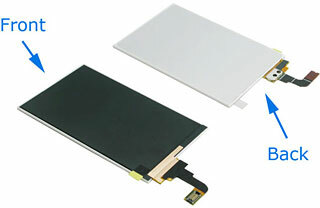 PR: Apple iPhone 3G Digitizer, this is the part you require if you have damaged the front glass on your iPod and it has cracked, or if the touchscreen is not responding to any input. Notes: This is not for iPhone 2G, it is for iPhone 3G only.